Have you ever had the experience of feeling afraid to check your bank account? Plenty of people have. More than a few of us live from paycheck to paycheck. Between the necessities and indulgences of life, it’s easy to spend all the income you have, and more. If you’ve ever accidentally overdrafted your bank account, you know this feeling. People tend to have a similar relationship with their personal credit history. The main difference is that, in the case of the credit history, they may never have checked it before in their lives. But the anxiety is the same. People who have never investigated their personal credit reports have a sinking suspicion that they contain negative material which doesn’t reflect well on them. While this may be true, it’s no reason to ignore the problem. Only when you look at your credit report can you start to correct any negative issues that it might contain. Your credit report is intimately linked to your credit score. In fact, your credit score is basically just a quick summation of the report. If, in the past, you have overused your credit, forgotten to pay bills, never used any credit at all, or other questionable financial decisions, your credit report will reflect this. The accompanying score will be high or low, depending on the amount of negative material or lack thereof. It also accounts for how much you use credit in a healthy way, without overusing or abusing it. It you have sterling credit, you’ll find that a number of things are easier for you than they would be for someone with poor credit. One of these is taking out a personal loan. Let’s say you have a credit score of 750 (which is very good). While we can’t speak to specific rates and terms, it can be stated that the loan you are offered will have a lower interest rate than a loan offered by the same company to someone with a score of 600. Over the course of your loan, the person with the lower score would pay more each month than the person with the better score. This could result in thousands of dollars extra paid, if not more. The same would hold true every time money was borrowed, whether through a credit card, a bank, or an independent lender. In short, people with poor credit pay more for the money they borrow. This cuts down on their lifetime earnings and opportunities. You don’t want to live life like this. But the only way to prevent it is to take ownership of your personal credit. 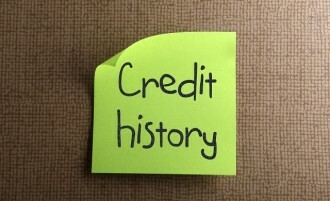 Check your credit reports if you have never done so before. Take note of any negative items mentioned. Consider paying off these debts and/or disputing them. Research all the ways you can improve your credit. None of them is terribly difficult. In all, make sure you have a working knowledge about how personal credit works. This knowledge will help you make good decisions moving forward. But this will only happen if you bite the bullet and check that credit! Facing reality can be hard for someone with terrible credit. Luckily, one can fix their credit a day at a time if they are willing to tackle it head on and focus on improving it.